Exports of computer chips to China increased by 80 percent to $2.6 billion in 2018 with Intel Israel constituting at least 80 percent of sales. Matam High-Tech Park at the southern entrance to Haifa is the largest and oldest dedicated technological park in Israel. The buildings in the front are of Intel and Elbit Systems. The high-tech industry has been booming in Israel, as has the economy in 2018. Credit: Zvi Roger/Wikimedia Commons. 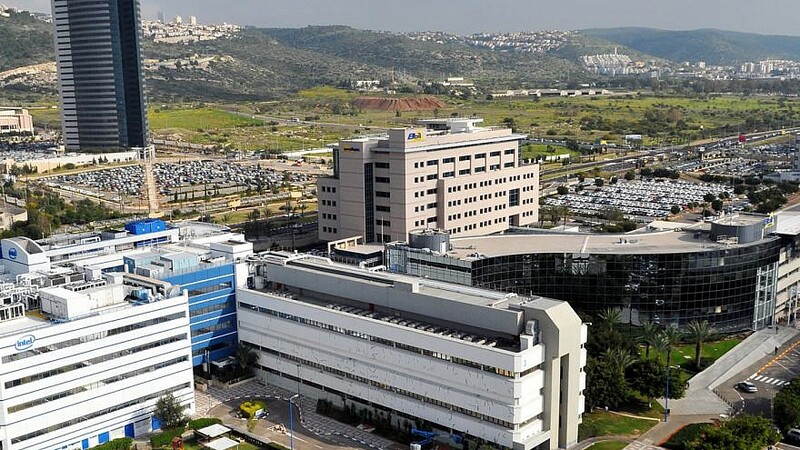 (March 19, 2019 / JNS) Israeli exports of computer semiconductors skyrocketed as Chinese companies purchased more semiconductors manufactured at Intel’s Kiryat Gat plant. Reuters, citing an official at the Israel Export Institute, reported that exports of computer chips to China increased by 80 percent to $2.6 billion in 2018 with Intel Israel constituting at least 80 percent of sales. The figures should be encouraging news for Jerusalem as it pushes for increased ties with Beijing as semiconductors consisted of $3.9 billion of overall exports last year, according to the government-run institute. The two nations have been discussing a trade accord in which technology is expected to play a major role in the negotiations. Overall exports of goods from Israel to China, excluding diamonds, increased 50 percent to $4.7 billion.